Whilst the wonderfully demonic number of 666 lorries a day going to and from the fiery pits of the incinerator might seem like Viridor have a sense of humour after all, the truth is they are perhaps even more dangerous than what comes out the incinerator chimneys. Maeve, a supporter of STI has recently done a FOI relating to the number of lorries, raising concerns about what the true number really is. You can see the request and their response here. Below are the concerns Dr Stan Prokop has raised about the lorry movements, a number of which will be carrying hazardous waste. The ash lorry numbers are extremely relevant. The lorries and their diesel engines will be doing enough damage by raising general air pollution levels locally, but there will be a special extra danger. 20 LORRIES at 20 tonnes = 400 tons a day of very toxic ash….they’d better be dustproof..if I were them I would be knobbling the Public Health doctor’s collection of miscarriage, congenital malformation, stillbirth, neonatal deaths and infant mortality as we speak. There’s been a lot of judgements coming down recently….perhaps people will forgive me quoting extensively from one in 2009 that may even seem irrelevant. What’s Corby got to do with Beddington? Through Corby drove convoys of ill-protected loads of contaminated mud from the demolition of the Corby Steel Works…a number of children were born with limb deformities (we know little of the other ill-health that would have resulted locally).Their parents took Corby Borough Council to court. THROUGH LOCAL ROADS will be coming convoys of lorries carrying loads of exceedingly toxic FLY ASH. How is the safety of these loads to be guaranteed? Will they have HAZMAT warnings on them? What will the accidental spillage procedures be? Who will be responsible for damages in the legal sense? 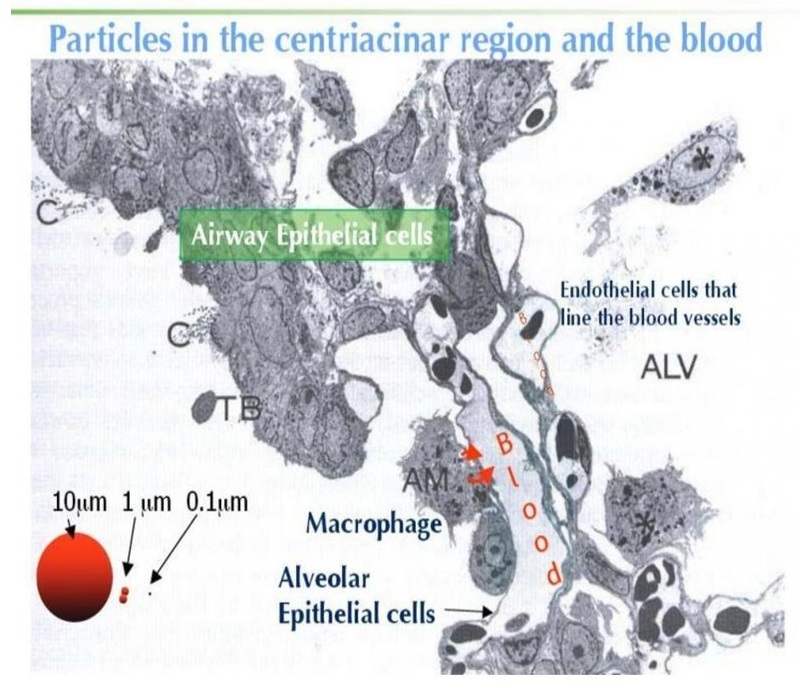 The illustrations below, is of levels of metals due to be coming from the Beddington chimneys (Viridor’s numbers) and of nanoparticles in the lungs. Dr Flaks, correctly in my judgement, identified PAHs, dioxins and heavy metals as the likely teratogens. The former were present at the BSC site largely as a consequence of the coke making processes used on the site over many years whilst the latter were the by products of the iron and steel making process. Also, dioxins and furans (PCCDs and PCDDs) were produced in the electric arc furnace process as well as in the sintering process. Dioxins and furans accumulate in the body and are only very slowly eliminated. So far as dioxins are concerned, Dr Flaks commented, based on papers and research, that it should have been obvious that the BSC site would be contaminated with dioxins when it closed, it being inevitable that dioxins would have been produced during the steel works operation (in particular the sintering plant); dioxins were and are known to be extremely stable in the soil. Decommissioning should have taken this into account so that any patches of heavily contaminated soil could have been identified and disposed of by incineration. The toxic characteristics of dioxins had been widely published since the 1970s and the technology for analysis and disposal was readily available in the early 1980s when remediation work at Corby was proposed. The toxic characteristics of dioxins include damage to human health (and potential damage to the embryo). I accept this evidence; it is logical and backed up by numerous papers and research. more sensitive to toxic chemicals than adults. The dosage of a teratogen required to induce birth defects can be much lower than that which would be required to cause toxic effects in adults and, although its teratogenic effects may be the result of induction by high doses, they may also be induced by low level exposures. in its intact survival. At this stage, the embryo is able to repair itself by multiplication of its undifferentiated cells. The embryonic period, from 18 to 54-60 days after conception, is the period when the organs are developing and is the period of maximum sensitivity to teratogenesis, since tissue damage becomes irreparable. The foetal phase, from the end of the embryonic stage to birth is the period when growth and maturation of previously formed organs takes place, and exposure to teratogens is likely to affect foetal growth, or the size or function of a specific organ, rather than to cause gross structural defects. Human teratogenicity is indicated by a recognizable pattern of anomalies, a statistically higher prevalence of a particular anomaly in patients exposed to an agent (which is an epidemiological facet), the presence of the agent during the stage of development of the affected organ, a lower incidence of the defect in the population prior to the introduction of the agent, and production of birth defects in experimental animals by the agent. To induce a teratogenic effect, teratogenic substances must be administered during organogenesis, the period of embryological differentiation. The critical period of organogenesis in humans is 20-55 days (or 35-70 days after the last menstrual period). The nature and incidence of effects are dependent on the particular developmental stage when exposure occurs. During embryonic differentiation or organogenesis, the embryo is highly susceptible to teratogenic insult. Following differentiation, the foetus becomes progressively less susceptible to teratogenic stimuli, although increasing the dosage may or extend the period of susceptibility. Most known teratogens have been identified through experimental animal studies. It is of course not ethical for any teratogenic tests to be done on pregnant mothers let alone on embryos and foetuses. A problem with this is that there is no exact or mathematical correlation between what will affect a mouse foetus and a human foetus. Only about 19 drugs or groups of drugs and three other chemicals (methyl mercury, toluene and polychlorinated biphenyls) have been established as teratogenic agents in humans (by clusters of abnormalities being observed by physicians) whereas about 1,500 teratogens have been identified in laboratory animals (mainly by laboratory testing). A teratogenic response depends upon the administration of a specific treatment of a particular dose to a genetically susceptible species when the embryos are in a susceptible stage of development. Susceptibility to teratogenesis by a particular chemical depends on differences between species and between strains within a species. Variables determining strain susceptibility include maternal parity and weight, foetal weight, number of young, size of the placenta, foetal and maternal production of hormones, and maternal utilization of vitamins and other essential nutrients. This is modified by environmental factors, such as diet, season and temperature. 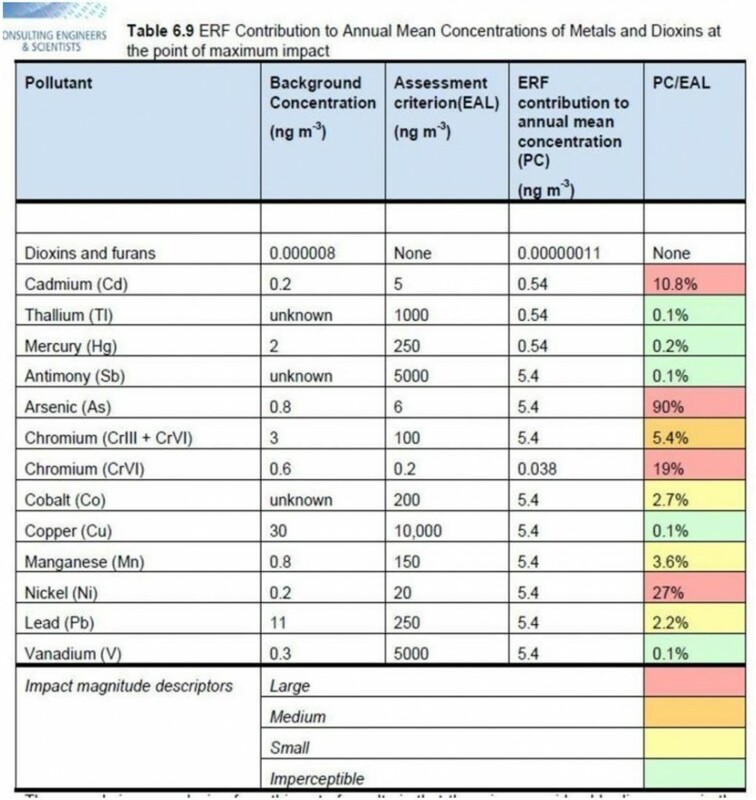 Dr Flaks’ view, which I accept, is that the most likely teratogenic agents are Dioxins, PAHs and particular heavy metals, namely CHROMIUM, NICKEL and CADMIUM and respective compounds of these metals. It is at least theoretically possible that other agents might also be active. This does not exclude other agents that might have been present Dr Flaks could not identify what was likely to be the effective dosage of any one of these agents for human teratogenesis because the information does not exist. Further, the precise mechanism whereby any of these teratogens act is largely unknown. Toxicological coupled with epidemiological evidence can provide useful evidence as to the cause of birth defects. Since the primary case made by the Claimants is that the birth defects were caused by the inhalation by the Claimants’ mothers during pregnancy of air borne contaminant bearing dusts, the evidence from the experts in the area of air pollution is important to determine how and in what circumstances dusts from the site could or would reach the mothers. chartered mechanical Consulting Engineer, has spent much of his professional career in risk analysis as well as risk management. He has had to address the dispersion and release of gases and the impact of biocidal products and for 10 years he served on the Health and Safety Executive’s Advisory Committee on Dangerous Substances. He “spotted” a serious error in published papers by Ove Arup and IEA upon which Ms Heasman and Dr Searle had relied relating to the distance which small particles (under 10 microns) may travel. This had not been picked up either by Ms Heasman and Dr Searl; Ms Heasman ultimately accepted the error. He gave his evidence in a relaxed and self deprecating way and did not seek ever to exaggerate his views. Before reviewing this area of the case, it is necessary to make findings at least broadly as to what levels of contaminated dust were likely to be present, where and in what quantities. In my judgement, there was a virtually constant generation of contaminated mud and dust from and including 1985 onwards to at least June 1997. There was almost constant work over this period by CBC and its contractors, but, even when there were slacker periods, dust would still have been released from the CBC sites or some of them, particularly Deene Quarry. Substantial quantities of contaminated material were carried on and on to the public roads mostly with unsheeted lorries. believe or expect as a matter of fact that at any one material time during this overall period there was only one precise point source of contaminated dust being generated. As Dr Cox said, not only would vehicles carry material some distance, it would either come off because it was blown off the back or by way of being dropped off the wheels or undercarriage; if the material was wet, it could also spill over at the edges of the lorry. Any material dropped onto the ground including the roads or pavements could then be re-mobilised either by wind or by passing vehicles. One needs to bring together the findings overall, There was a statistically significant cluster of birth defects between 1989 and 1999. Toxicologically there were present on and from the CBC sites over the whole period from 1985 (and possibly before) until 1997 the types of contaminants which could cause the birth defects complained of by the Claimants. There was an extended period between 1983 and August 1997 in which CBC was extensively negligent in its control and management of the sites which they acquired from BSC and otherwise used. That negligence and, as from 1 April 1992, breach of statutory duty on the part of CBC permitted and led to the extensive dispersal of contaminated mud and dust over public areas of Corby and into and over private homes with the result that the contaminants could realistically have caused the types of birth defects of which complaint has been made by the Claimants (save in limited respects). I must be frank. I have very little trust that either the councils (particularly Sutton) that make up the SWLP or Viridor will do the relevant monitoring with sufficient rigour and transparency.You would not believe how diluted the regimes have become since the “cutting of red tape” in EU legislation. How will you know?